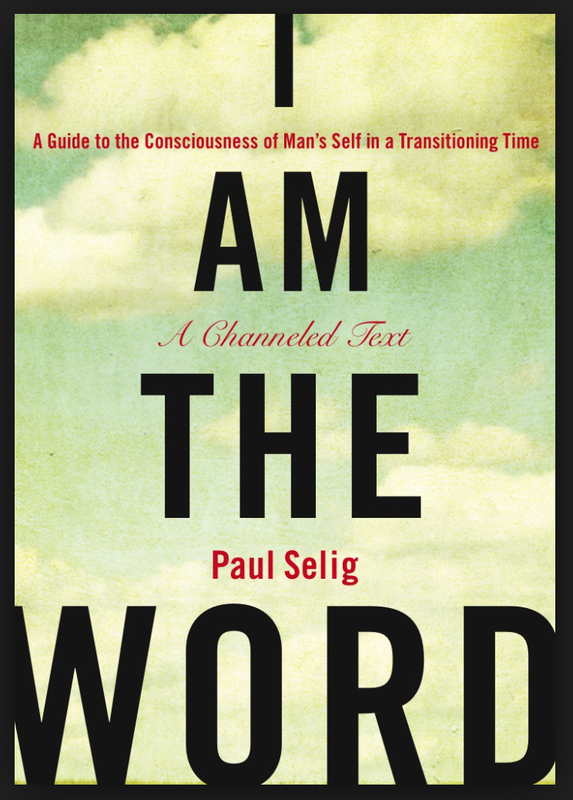 I have been reading Paul Selig’s first book, I AM THE WORD. The 300 page book was channeled over a two and a half week period. Paul, in New York, was the conduit for his Guides while his colleague Victoria, on the West Coast, was the transcriber for what came through. Paul has done four books this way. Readers of this blog might remember that I recently finished his THE BOOK OF MASTERY Vol 1. Both these books have resonated with me deeply. They are vibrational, and if you are ready and if you give permission, they will recalibrate you to look at yourself, and those around you, in a completely new light. I have to say though, I could not have fully appreciated Paul Selig’s work and concepts had I not first read Amanda Guggenheimer’s THE LIGHT WORKERS COMPANION. The process of dictation unfolded so quickly and so easily that the enormity of what was happening—completely coherent sentences, paragraphs, and chapters coming out of Paul far more rapidly than I could record by hand—became something taken for granted rather than marveled at. I heard this book before I read it. Heard it over the phone an hour each morning for two and a half weeks as it was transmitted to Paul, 11: 30 A.M. his time and 8: 30 A.M. my time, from late February through early March 2009. I took notes as I listened, then read the transcripts that Paul typed up from his recordings. In slightly under three weeks of these hourly sessions a three-hundred-page transcript appeared that, with very minimal cuts and no additions, is the book you hold in your hands. Paul’s guides assert that the language and vocabulary they use is Paul’s while the energy informing it remains something entirely outside him. They also express concern about preserving the integrity of these words exactly as transmitted through Paul. The epilogue sets forth their wishes about editing (or more precisely, not editing) the text, which we carried out in a painstaking process of punctuating, proofing, and reproofing the oral transcript. Paul queried his guides about every suggested change or dropped word. In most cases, because this text is at heart an energy transmission, the guides wanted even ungrammatical syntax to stay intact, and we have observed their wishes. Their sometimes antiquated references—to Dictaphones, tapes, even steamships—remain intact. A few passages of personal material or outside interruptions were dropped with their approval. An adventure and a mystery. I Am the Word is both these things. It is also a spiritual teaching that promises, to those open to it, a special kind of reading experience on two levels of consciousness: as the mind takes in the printed words on the page, the whole person is being “worked on” at the level of pure energy—but only if the person wishes and permits it. The exact nature of the teaching I leave to Paul’s guides to lay out in the specific language in which they have chosen to deliver it. Let me simply say here that through a prologue, twelve chapters, and an epilogue, in a voice alternately urgent and loving, playful and serious, I Am the Word exhorts individuals to rise to a higher level of self-knowing and self-worth that in turn will help foster a radical shift in human consciousness in our planet. Sorry, but it sounds demonic. Not every supernatural event is from God. “Energy” is immanent, not transcendental, and it is of this world, not of Eternity. I refuse to help finance freemasonry.